This document specifies the requirements of the American Board of Recorded Evidence for the comparison of recorded voice samples. These standards have been established for all practitioners of the aural/spectrographic method of voice identification and are intended to guide the examiner toward the highest degree of accuracy in the conduct of voice comparisons. These criteria supersede any previous written, oral, or implied standards, and will become effective upon the approval of the members of the ABRE. This document was developed by members of the American Board of Recorded Evidence, a board of the American College of Forensic Examiners, following their meeting in San Diego, CA in December, 1996. The document draws upon previously published material from the International Association for Identification, the International Association for Voice Identification, The Journal of the Acoustical Society of America, The Audio Engineering Society and The Federal Bureau of Investigation for much of its content. The contents of this document are for non-commercial, educational use. It is the intent of the Board to publish this draft of the document in the official journal of the American College of Forensic Examiners. This will provide time for comments from members before the document is finalized. The quality of the exemplars is critical in allowing an accurate comparison with unknown voice samples. 3.1 Production. The exemplars can be prepared by either the investigator, attorney, examiner, or other appropriate person. Whenever possible, an impartial individual knowledgeable of the known speaker’s voice should be present to minimize attempts at disguise, changes in speech rate, adding or deleting accents, and other alterations. The known speaker should state his or her name at the beginning of the recording and repeat the unknown caller’s statement(s) from three (3) to six (6) times, depending upon the length of the unknown samples. Normally, the person preparing the exemplar should record his or her name and that of any other witnesses present. 3.3.1 Reading v. recitation. The suspect should be allowed to review the written text or transcription before actually making the recorded exemplars. This familiarity will usually improve the reading of the text and response to oral prompts and increase the likelihood of obtaining a normal speech sample. When a suspect cannot or will not read normally, it is advisable to have someone recite the phrases in the same manner as the unknown speaker and have the suspect repeat them in a similar fashion. Ideally, the exemplar should be spoken in a manner that replicates the unknown talker, to include speech rate, accent (whether real or feigned), hoarseness, or any abnormal vocal effect. The individual taking the sample should feel free to try both reading and recitation, until a satisfactory exemplar is obtained. 3.3.2 Repetition. Multiple repetitions of the text are necessary to provide information about the suspect’s intraspeaker variability. All material to be used for comparison should normally be read or recited from three (3) to six (6) times, unless very lengthy. 4.1.3 Speed accuracy. Errors in playback speed will cause corresponding variations in the voice frequency, both aurally and spectrally. The playback speed error should be determined for all recordings containing known discrete tones, and then corrected on a reproducer with speed-adjustment circuitry. A Real-Time (RT) Analyzer or Fast Fourier Transform (FFT) analyzer system should be used that allows a resolution of % (+0.60 hertz) or better at 60 hertz. Where a known signal is present on the recording, a frequency counter may be employed to correct tape speed. Ideally, there should be less that a 3% error between questioned and known samples that are being compared. 4.2.3 Recording unit. A separate professional reel recorder, or the one incorporated in the Series 700 Series Spectrograph, is required. At least once a year, the recorder must be checked by a technically competent individual to determine the unit’s playback speed accuracy, distortion level, flutter, record/playback frequency response, and record level. The recorder must meet the following criteria: playback speed within 0.15% distortion of less than 3% at 200 nWb/m, wow and flutter below 0.15% (NAB unweighted), record/playback frequency response of 100 to 10,000 hertz + 3 decibels at 200 nWb/m, and a 0 VU level no greater than 250 nWb/m. If the recorder does not meet all of these standards, it must be repaired and/or adjusted. If a digital system is utilized by the examiner, the system should be checked at least once a year by a technically competent individual according to the manufacturer’s written instructions. Digital systems should have almost unmeasurable speed errors, wow and flutter, distortion, and frequency deviations. 4.3.1 Equalizers. Parametric or graphic equalizers can boost and attenuate selected frequency bands to normalize the recorded speech spectrum. Though an FFT or RT analyzer is of considerable assistance in adjusting the spectrum, a final decision on the equalizer settings should be made by either listening and/or preparing spectrograms, depending upon the enhanced copy’s use. 4.3.2 Notch filters. These devices allow the selected attenuation of discrete tones present in the recordings. An FFT or RT analyzer is of considerable assistance in identifying the frequency of the tones and optimally centering the filter’s notch. 4.4.4 Other filters. Band pass, shelving, comb, user-characterized digital, and other filters are helpful in a small number of voice identification cases. 4.4.5 Format. Same as 4.2.1. 4.4.6 Cabling. Same as 4.2.2. 4.4.7 Recording unit. Same as Section 4.2.3. 4.4.8 Retention. Same as Section 4.2.4. 6.1 Sound Spectrograph. The examiner must use a sound spectrograph, or a digital system, that allows the identification and marking of each speech sound on the spectrogram by either manual manipulation of the drum while listening to the recorded material or the separate identification of the individual sounds on a computer monitor. Spectrographs used must be of professional manufacture, such as the Voice Identification 700 Series or professional computerized systems, such as the Kay Elemetrics Model 5500. The spectrograph should be calibrated at least every six (6) months according to the manufacturer’s instructions. 7.1.4 Number of comparable words. This is determined by the total number of different words present in both samples that meet the standards set forth in Section 5.4.1 – 6. A similar or nearly similar word appearing more than once in one or both samples should be counted only as one comparable word. e. Coupling. The effects of inappropriate coupling can often be observed in spectrograms as either diminished or enhanced energy in the frequency range between the first and second formants. Coupling is related to the open/close condition of the oral and nasal cavities. In normal speaking the nasal cavity is coupled to the oral cavity for nasal sounds, such as “n”, “m”, and “ng”. However, some talkers are hyper nasal, producing nasal-like characteristics in inappropriate vocal sounds; other speakers are hypo nasal producing limited nasal qualities even when appropriate. f. Other. Plosives, fricatives, and inter-formant features should be spectrally compared between samples by the examiner. Other sounds such as inhalation noise, repetitious throat clearing, or utterances like “um” and “uh” can sometimes be compared to the known exemplar if they have been successfully replicated. b. Intonation. Intonation is the perception of the variation of pitch, commonly known as a melody pattern. Spontaneous conversation will normally exhibit this characteristic to a greater extent than a passage that is read by the speaker. words of the sample should be similar for different recordings of the same talker when no disguise is present. i. Vocal quality. Vocal quality is the perception of the complex, dynamic interplay of the laryngeal voicing (pitch, intonation, and stress), articulator movement, and oral cavity resonances. Since each individuals voice is relatively unique in its vocal quality, comparisons can provide important information regarding similarities and differences between the voice samples. 7.3.3 Possible Identification. At least 80 of the comparable words must be very similar aurally and spectrally, producing not less than (10) matching words. Each word must have two (2) or more usable formants. 7.3.7 Elimination At least 90% of all the comparable words must be very dissimilar aurally and spectrally, producing not less than twenty (20) words that do not match. Each word must have three (3) or more usable formants. This confidence level is not allowed when there is obvious voice or electronic disguise in either sample, or the samples are more than six (6) years apart. 7.4.1 Independence. A second opinion must be completely independent of the first examiner’s decision, and no oral or written information shall be provided regarding that first opinion. 7.4.2 Material provided. 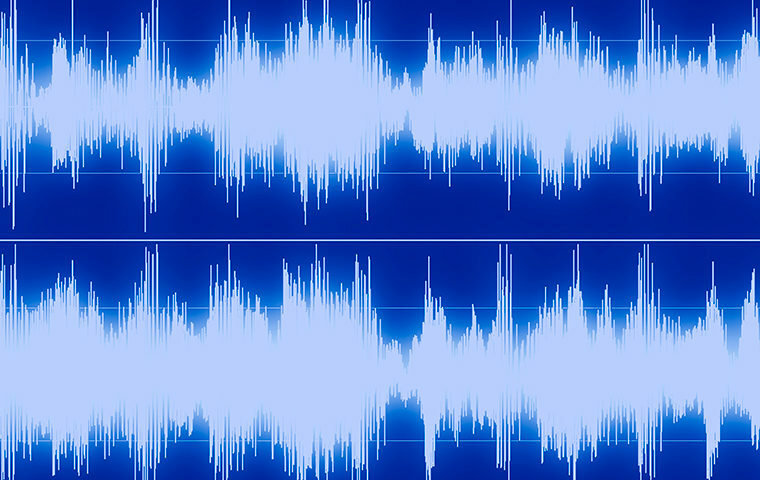 The second examiner should only be provided the originals, or direct and enhanced copies, any work notes under Sections 2, 3, and 4 and the spectrograms. The second examiner must not be provided any materials that reflect even partially, the first examiner’s opinions regarding the examination. 7.4.5 Reporting. Whenever possible, the second examiner should prepare a short report listing the results of the second opinion. This is not necessary if both examiners are in the same organization. The name and results of the second opinion can then be included in the first examiner’s work notes. 10.2 Qualification List. The presentation of the qualifications of the examiner should be in conformity with Rule 26 of the Federal Rules of Evidence – Expert Witness Statement categories, regarding expert witnesses.